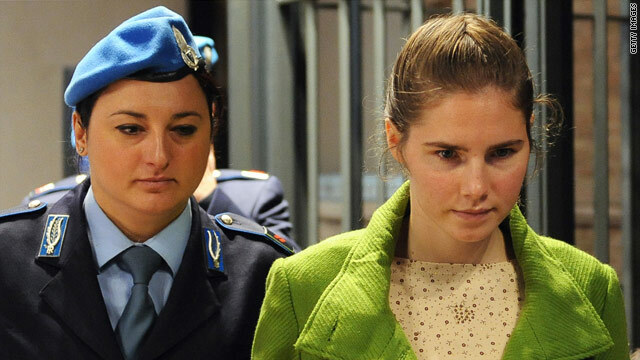 Amanda Knox is escorted during her murder trial in Perugia, Italy, on Thursday. Perugia, Italy (CNN) -- Who killed 21 year old British student Meredith Kercher? Two years ago, she was found in her rented house in the Italian town of Perugia -- sexually assaulted and with her throat slashed. The mystery of her brutal murder has consumed the beautiful medieval town -- and the world's media -- ever since. Perugia's roots may be medieval, but this crime is all about modern forensic science. A real-life CSI. Starting with Kercher's American roommate -- Amanda Knox -- a 22-year-old native of Seattle in the United States. She's now on trial for the murder, along with her former boyfriend - Italian Raffaele Sollecito. Another man, Rudy Guede, a drifter, has already been convicted of the murder and is serving a 30-year sentence. Prosecutors say Knox was the mastermind of the murder. They say she hated Kercher and intentionally started an argument that escalated into a fight that became a gruesome murder. They say Knox slit Kercher's throat, as Sollecito held her down, and Guede sexually assaulted her. But that's not the way Knox's defense see it. Nor her parents -- Curt Knox and Edda Mellas. "We have to try to do our best to put on a face that it is going to work out," Curt Knox said. Edda Mellas added: "We keep telling her that it's taking way longer than we ever expected, but she is going to get out of there. And she's innocent and they are not going to put an innocent 20-year-old in jail for 30 years, it's just not going to happen, especially with no evidence." What has been so baffling about this case has been the lack of physical evidence. There is hardly anything linking Amanda Knox and her former boyfriend to the murder scene. Prosecutors claim they do have the murder weapon, found at Sollecito's home - a kitchen knife that they say had traces of Kercher's DNA on the tip, and crucially, Knox's DNA on the handle. The defense claims the knife doesn't match any of Kercher's knife wounds and the DNA count is so low - it's inconclusive. It says much of the DNA evidence has been tainted by sloppy work at the crime scene. "The 'Foxy Knoxy' was totally associated to soccer," Curt Knox said. "It was just kind of this obscure thing from when she was really young that she put out there that just turned into this huge negative thing," Mellas added. After an eleven month trial, a verdict is expected as soon as next week. Knox's parents say they hope they're daughter will be home for Christmas.